So a few months ago I heard a lot of people online start raving about apple cider vinegar and the countless health benefits associated with it. I was immediately interested in learning more and started to research into it further. Let's just say since then I've been hooked! And yes of course drinking apple cider vinegar tastes rank, but honestly if you can get past the bad taste then there are plenty of amazing benefits that in my opinion make it so worth it! 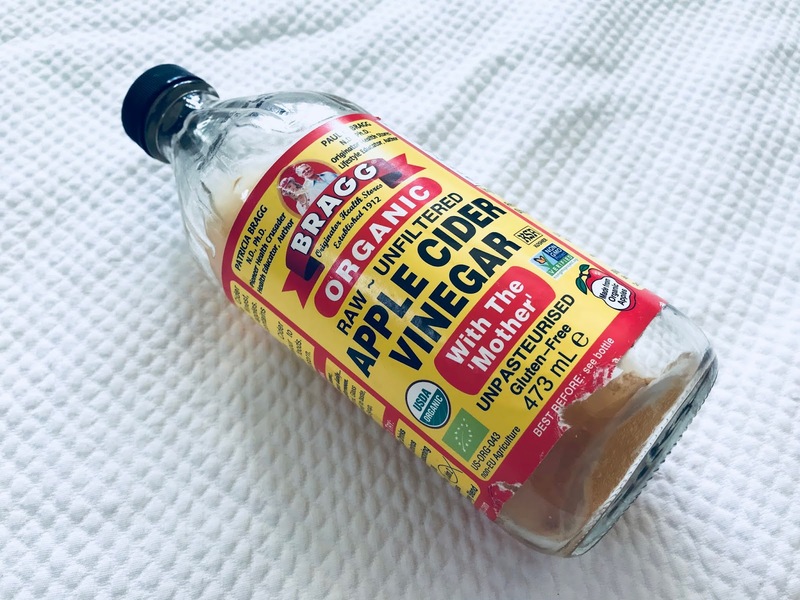 When I started taking apple cider vinegar everyday, I used to take 2 teaspoons of straight apple cider vinegar in the mornings. It tasted disgusting but it was bearable and the taste was over quickly. However after a few mornings I realised I experienced a little burning sensation in my throat when I took it, it wasn't an awful pain but I thought there must be better ways to drink apple cider vinegar daily. In addition drinking it straight can cause erosion of tooth enamel which isn't great either. I now drink my apple cider vinegar everyday in the evenings before bed. 1. Cut up the half of a lemon and add it into a mug. 2. Add 2 tbsps. of apple cider vinegar. 3. Boil a kettle of water. 4. Add 1 tsp. of honey if you are after a sweeter taste. 5. Once the water is boiled, fill the rest of the mug. 7. Drink and (try to...) enjoy! I am not claiming that this drink is sweet and delicious, however I find it much more bearable and enjoyable to drink rather than plain or diluted apple cider vinegar. Obviously there are many health benefits of lemons and honey too which boosts the health value of this drink. I'm enjoying taking this health drink every night so far. I have already seen an improvement in my skin and energy levels since taking it for only a few months. I hope this post has opened your eyes to the benefits of apple cider vinegar. Let me know in the comments if you decide to try it out, or maybe you're already drinking it daily too - how are you finding it?